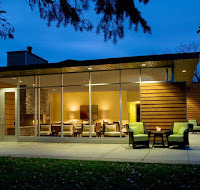 Evensong Spa is wrapped in tranquility and set on wooded acres in Green Lake, Wisconsin. It's a place of nature, with woods and wetlands, paths and trails. The spa offers a unique blend of natural and high technology services and products which are customized for each guest's concerns and needs. The Spa's goals are to help guests achieve outer and inner peace, and to help them attain their desired physical results and well-being.